Flying halfway around the planet is a shocking, yet exciting, experience. Think about it. You can wake up at home, yet end the day in an entirely different country with an unfamiliar landscape, culture and feel. While the exhilaration of traveling somewhere new is hard to match, it does come at a cost. To get somewhere far away, you often must fly for eight, ten or sixteen hours in a single sitting. Technology has made long-distance travel a lot easier to bear. Most long-haul carriers offer in-flight entertainment, and some even offer back-of-the-headrest entertainment devices in every single seat. To get the most bang for your buck, make sure you book long- haul flights with carriers that do offer personal entertainment devices. Once you do, your twelve-hour flight can be less of a burden and more of the perfect opportunity to watch four or five movies in a row. Keep in mind that one carrier can differ from another, and even the age of the aircraft in question can affect entertainment availability. Thus, look closely at which plane you'd be flying and do your research. If you don’t want to stare at a screen all day, bring a good book (or two), or a Kindle for reading. Occasional reading breaks mixed in with movies and napping can make the time fly by. Long-haul flights are the absolute worst when you’re uncomfortable. To have the best chances at relaxation, consider paying extra to select your seat early. 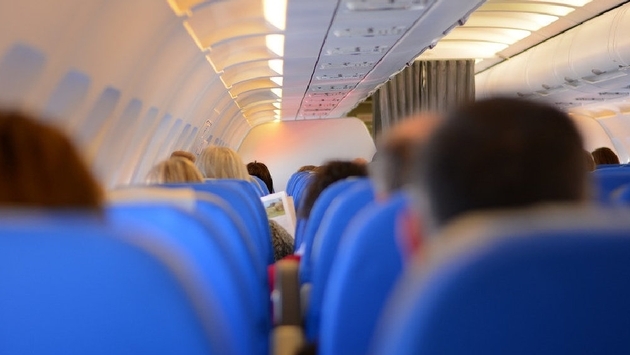 While you might balk at a $35 upcharge for an assigned window or aisle seat, you’ll wish you weren’t so cheap if you wind up stuck in the dreaded middle for an entire flight. While sitting in economy plus is bearable, a business class seat (and especially a lie-flat seat) can make flying rather relaxing. If you have the money to splurge, consider spending the extra cash for more comfort on your longest flights. You can also sign up for an airline credit card to start saving miles for a business class seat instead. Plane food isn’t that great anyway, but it’s especially awful when you get something you don’t like. If you’re a picky eater or just want something special, you can request a special meal ahead of time. Consider asking for a vegetarian, kosher, Asian, or Indian dish to mix things up. Dressing comfortably isn’t the easiest thing to do if you’re heading straight from the airport to a business meeting. Fortunately, you can dress comfortably (and smartly) if you buy the right attire. Bluffworks makes a comfortable and nearly wrinkle-free blazer for men who want to travel comfortably yet look put-together when they land. Throw it on with a pair of slacks and you’ll feel like you’re in your jammies. For the ladies, Travel Smith makes some professional-looking and comfortable attire that fits with nearly any business agenda. The best travel pillow for your needs really depends on your sleep style and how you’re most comfortable. You may need to experiment some to find the right travel pillow for your needs. If you’re a stomach sleeper, for example, the famous (and funny-looking) Skyrest Travel Pillow is one to consider. If you don’t mind your head tilting to the side, one of those U-shaped pillows could work wonders. If you’re especially sensitive to sounds, noise-cancelling headphones can create a safe, quiet space while you fly. You can find a ton of options on Amazon.com for $30 and up. This final tip is probably the most important: Bring a portable charger that can recharge your phone and other devices. While many flights have in-flight plug-ins, not all do. What would you do if your phone died and you were desperate for a game of Solitare? Lots of companies give portable chargers away for free, but if you need one now and can’t wait for a freebie, you can buy them online for around $10.